K.H. Whitmire, Main Group-Transition Metal Cluster Compounds of the Group 15 Elements. W.M. Jones and J. Klosin, Transition Metal Complexes of Arynes, Strained Cyclic Alkynes and Strained Cyclic Cumulenes. H. Ogino and H. Tobita, Bridged Silylene and Germylene Complexes. I.R. Whittall, A.M. McDonagh, M.G. Humphrey, and M. Samoc, Organometallic Complexes in Nonlinear Optics I: Second-Order Nonlinearites. F. Gauvin, J.F. Harod, and H. Gweon Woo, Catalytic Dehydrocoupling: A General Strategy for the Formation of ElementElement Bonds. Subject Index. Cumulative List of Contributors Volumes 136. Cumulative Index Volumes 3742. 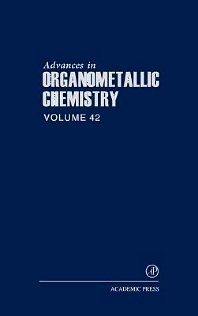 The formulation of multiple bonds between carbon and the other elements and between the elements themselves This book is an essential reference work for the academic and industrial chemist and will provide up-to-date material at the cutting edge of chemistry research.